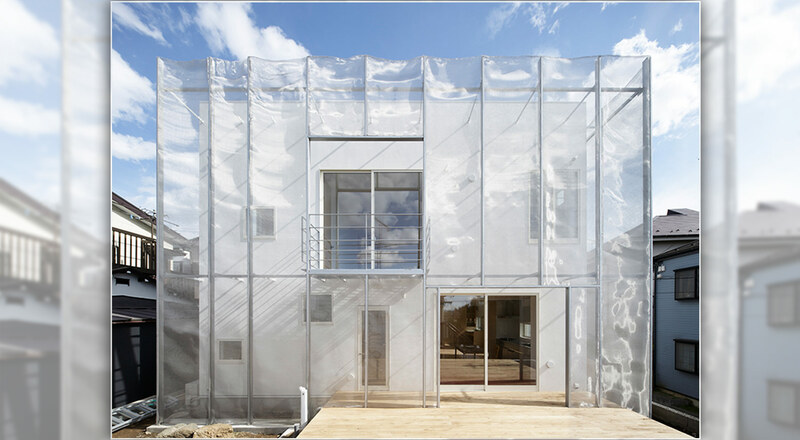 The Moya Moya house, the work of Japanese Phenomenon studio architect, Fumihiko Sano, is a detached building set in the suburbs of Tokyo. The house has been built on a square 9.10 by 9.10 metre plot with the unique feature of being enveloped in a stainless steel wire mesh. This house was designed to the particular specifications of the Japanese lady who commissioned it, who was looking for a large space to pursue her great hobby: kimono dyeing. With this in mind, a vast central room was created, with a large sink and space for storing the kimonos. The interior of the house, therefore, revolves around this voluminous living space with fantastic natural light, a factor which contributes to significant energy savings. The ground floor also features the kitchen, master bedroom and a small study. Two more bedrooms can be found on the second floor along with a living room and a true Japanese-style bedroom. The principal materials used in this construction are stainless steel—on the exterior in the form of a wire mesh that fences in the entire plot—and wood, the main material used for the house’s interiors. The structure, which was successfully completed in 2014, has been the subject of much debate due to its unusual metal mesh façade which, to some, is more reminiscent of a high security prison than a creative architectural project.